I love trying out different kitchen gadgets and tools, so for Christmas last year I asked for a donut pan. I've been having fun creating different donut recipes ever since and these Baked Apple Donuts are no different. 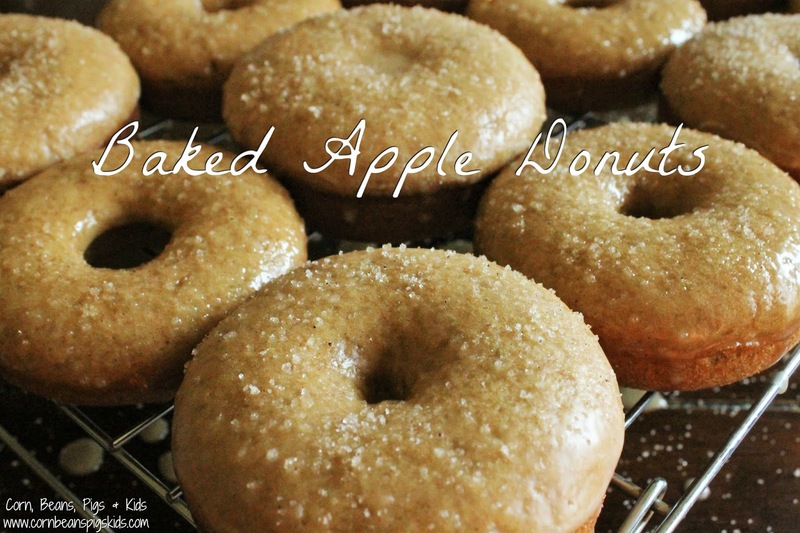 The apple cider and applesauce give the donut great flavor, plus keep the cake soft and moist. The Spice House's Cake Spice, a blend of cinnamon, star anise, nutmeg, allspice, ginger and cloves, reminds you of fall and the Rodelle Vanilla glaze is the perfect sweet topping! In a saucepan bring the apple cider to a boil for about 15 minutes, or until it is reduced by half. Let the cider cool completely. Whisk together the dry ingredients (flour, sugar, baking powder, baking soda, cake spice and salt). Then mix in the rest of the batter ingredients (1 cup cooled reduced apple cider, applesauce, eggs and vanilla). Spray your donut pan with cooking oil and pipe the batter into each mold. Bake at 350°F for 10-12 minutes. Let the donuts cool and then dip the top of each in the glaze (powdered sugar, vanilla and apple cider whisked together). Sprinkle each donut with vanilla sugar. Yields 18 donuts. There is just something about Apple Donuts in the fall and I hope you enjoy this recipe as much as my family and I do! 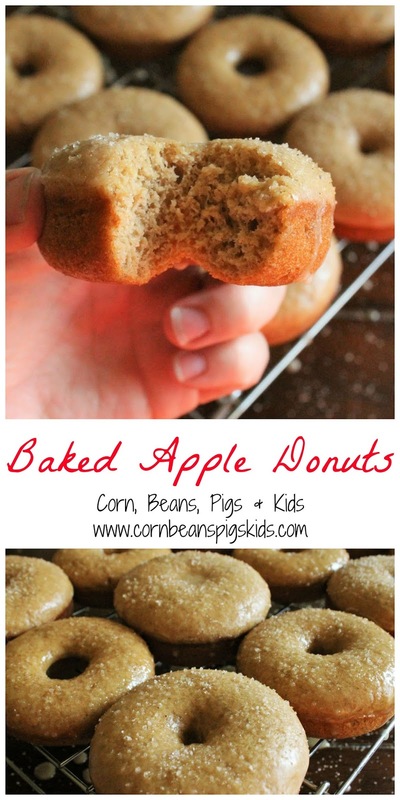 This donut recipe is easy to make and my kids literally wait at the table til I say they can have one. 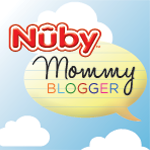 What recipe do you love making with your kids or grandkids? Remember to Comment for a Cause! I'll take one with a large glass of cold cider please. Miss L is cute as can be and so patient waiting to eat one of those beauties! I really like that cake spice and that glaze sounds amazing. Now I'm hungry just thinking about it! Oh my goodness...these have my name written all over them!! !